Western culture has developed an obsession with happiness. At first glance, the premium placed on happiness seems warranted given that a large body of research has highlighted its benefits. Yet, emerging lines of research suggest that the outcomes of being happy are very different from the outcomes of seeking to be happy. Whereas the former is often linked to, and in some cases even causes, positive outcomes, the latter seems to do the opposite. This chapter first reviews research examining the negative effects of pursuing happiness at the individual level. We then highlight a number of important differences between Western and Eastern notions of happiness while also considering how these notions are beginning to change. Next, we examine the consequences stemming from valuing happiness at the societal level. We discuss prominent cultural emotion norms tied to happiness and the implications that these norms have for individual emotional functioning. 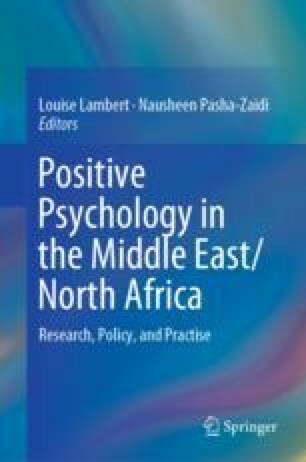 Throughout, we note that the downsides of pursuing happiness may spread to other Eastern societies, such as the Middle East/North Africa region, through increased exposure to Western values, norms, and practices via globalization. Lastly, we highlight a number of important social determinants of happiness that can inform governments in their mandate to boost the happiness, life satisfaction, and overall wellbeing of their citizens. Action for Happiness. (2010). Retrieved from http://www.actionforhappiness.org. Ghosh, S. (2016, January 22). Happiness is overused in ads, says Coke’s creative boss. Campaign. Retrieved from https://www.campaignlive.co.uk/article/happiness-overused-ads-says-cokes-creative-boss/1380527. Happiness Alliance. (2010). Retrieved from http://www.happycounts.org/about.html. Helliwell, J., Huang, H., Grover, S., & Wang, S. (2018). Empirical linkages between good governance and national wellbeing. Journal of Comparative Economics, Advance online publication. https://doi.org/10.1016/j.jce.2018.01.004. Savage, J. (2009, February 21). A design for life. The Guardian. Retrieved from https://www.theguardian.com/artanddesign/2009/feb/21/smiley-face-design-history. Stamp, J. (2013, March 13). Who really invented the smiley face? Smithsonian. Retrieved from https://www.smithsonianmag.com/arts-culture/who-really-invented-the-smiley-face-2058483/. United Nations. (2011). Happiness: Towards a holistic approach to development. Retrieved from http://www.un.org/ga/search/view_doc.asp?symbol=A/RES/65/309. United Nations. (2012). International day of happiness. Retrieved from http://www.un.org/ga/search/view_doc.asp?symbol=A/RES/66/281.